May 2, 2017 – Little baby Killdeer covered in their soft downy feathers hurry to the protection of their mother as she gives the warning call. Five tiny plover chicks could be seen already hunting insects as they moved across a mud flat next to a rural road in Kankakee county Monday. 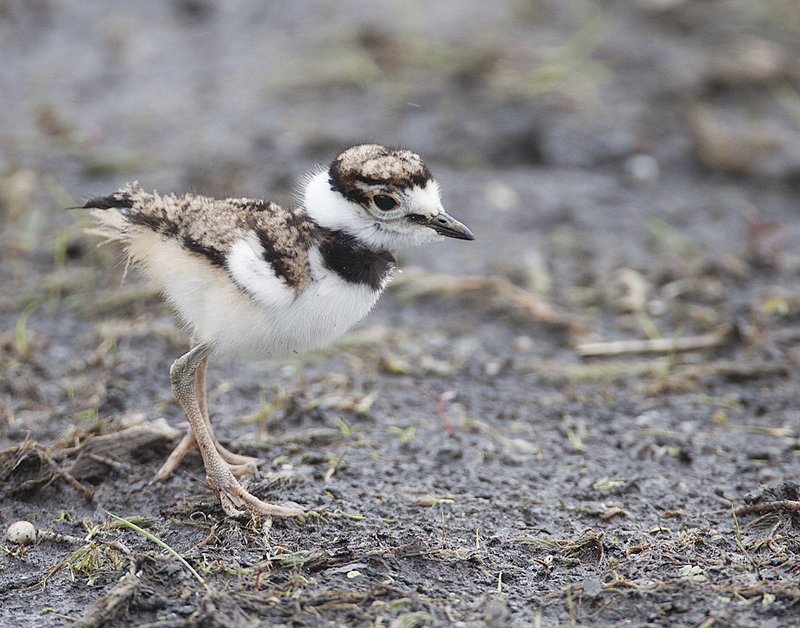 Killdeer are a ground nesting bird and after an incubation of 24-28 days the newly hatched wide eyed Killdeer chicks begin foraging with their parents as soon as their feathers are dry. 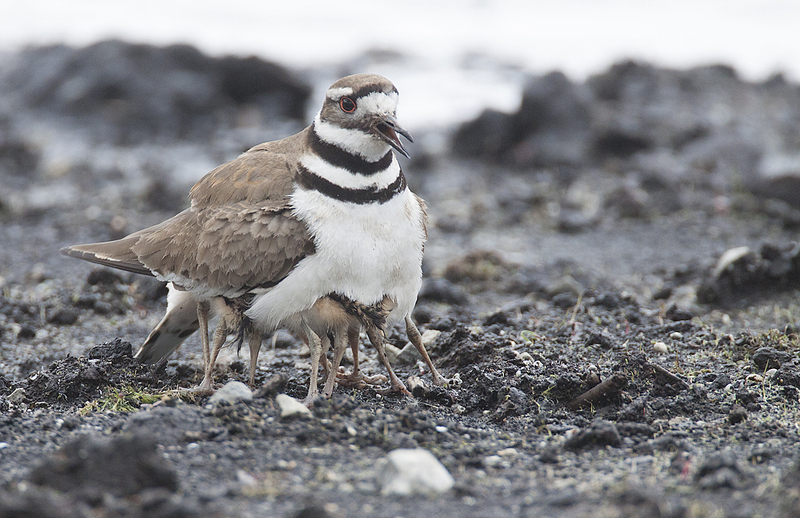 Little baby Killdeer called to safety by mother.